Taking forward its continuous efforts of building an active democratic citizenry in the country, the Systematic Voters’ Education and Electoral Participation division of ECI has undertaken a new initiative by the name of Electoral Literacy Clubs for developing a culture of avid electoral engagement and making informed and ethical ballot decisions among citizens of the country. The Electoral Literacy Clubs or ELCs program was officially launched on National Voters’ Day 2018 in the august presence of the Hon’ble President of India. ELCs are informal learning groups which being set up across the country as direct interventions of ECI for promoting electoral literacy among Indian citizens of all ages by engaging them in interesting and experiential hands-on learning activities in their local languages in a strictly apolitical, non-partisan and neutral manner. Three different kinds of interventions have been designed under the ELCs program. First is ELC Future Voters which are being set up in Secondary and Senior Secondary Schools all across India to target future voters in the age-group of 14 to 17 years who are studying in Classes IX to XII. These ELCs will have all of the students from Classes IX, X, XI and XII as its members. The overarching goal of ELCs program is to make the future and new voters of the country fully confident of how, when, where, what and why of democratic elections. They should develop an understanding of the value of their vote, significance of sanctity and secrecy of their vote, and a conviction of making mature, competent and ethical ballot decisions. They should become interested and excited for exercising their very first ballot decision in an ethical and informed fashion as soon as they become 18 years old. In quantifiable terms, the outcome of ELCs would mean increased electoral registration and enhanced voter turnout. And for reaching out to the population left outside of the formal education structures, ELCs shall be set up at every Polling Station by the name of Chunav Pathshala. Chunav Pathshala will have members from the village or community to which the polling station belongs. While there will be significant focus on school dropouts, the Chunav Pathshala will also aim to be representative of the entire village’s demographic composition. 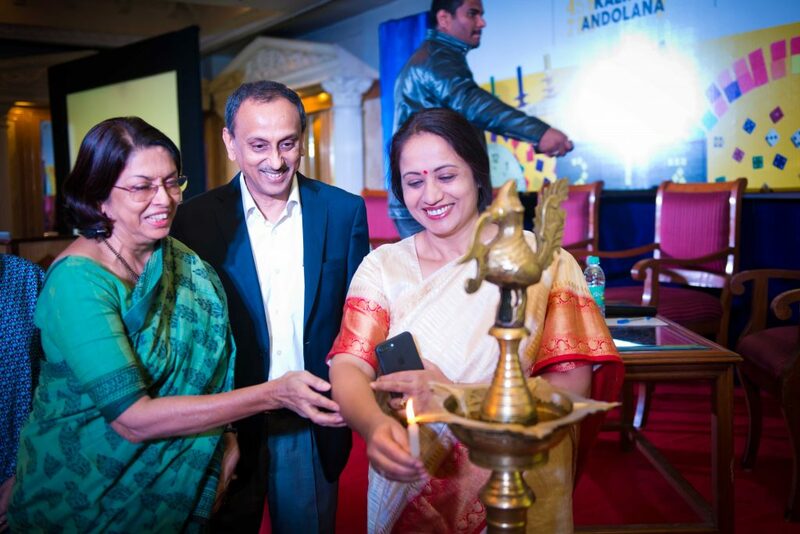 Election Commission of Karnataka nominated Ms.K.Vaijayanti of Akshara Foundation as a representative of Leading CSOs working in the field of Education. She was nominated to participate in the workshop organised by Election Commission of India, New Delhi during the third week of May. The workshop was called for CSOs from 30 states for State level Master Trainer. 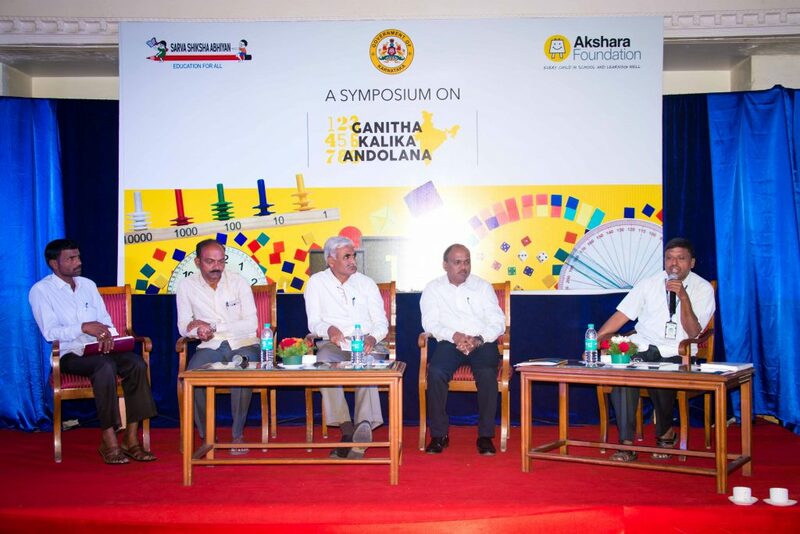 The role of the representative would be to develop/contextualise the awareness building modules, find out the master trainers and implementation agencies in Karnataka to enhance the understanding of voting process and importance of voting across the young and future voters. The workshop was participatory and activity based, as well as interactive. 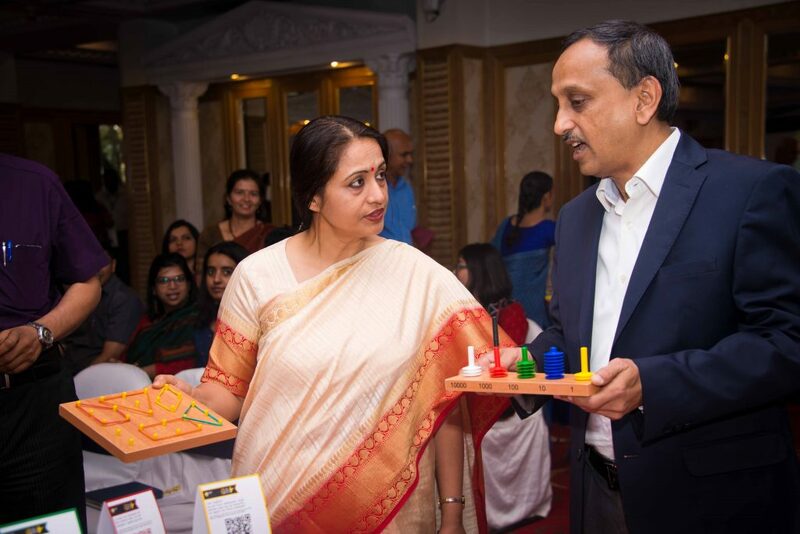 The resource material developed at the national level included different interesting strategies like mooch pooling booth, maze helping to understand different processes, games and discussions. The idea was to strengthen the democratic process by building the capacity of different stakeholders. Smt. 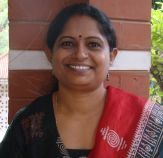 Umme Attika, is an English teacher at the Government Urdu Lower Primary School (GULPS) Chatripalya, a part of Jadigenahalli cluster, Hoskote taluk. She regularly participates in the EASY English workshops conducted by Akshara. Our EASY English programme was started in 2016-17, and the programme focused on grade 1 students. At the start of the programme, it was observed that the teacher was not so versed with English speaking, and was very hesitant to speak in English. But with regular practice during the workshops, especially with respect to spoken English, they have become confident and can hold a conversation with ease. Smt. Umme Attika participates with an eagerness to learn and is very enthusiastic. After the workshop, she refers to the teacher module and prepares herself for the class. She takes English for her students six days a week. 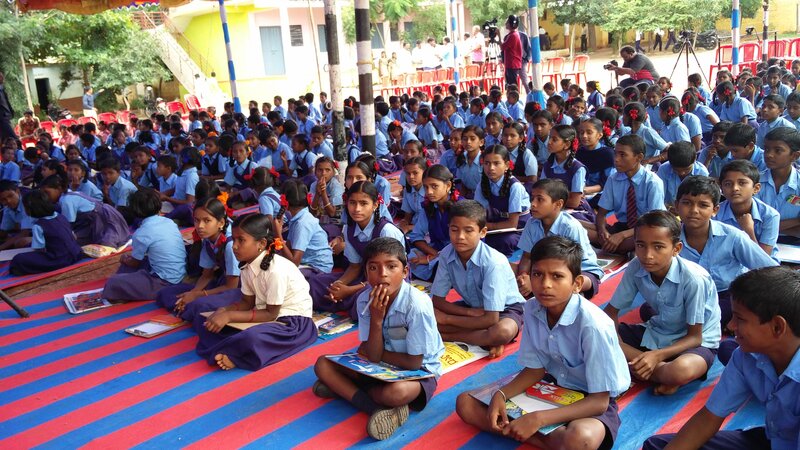 In Karnataka, grades 1 to 3 sit together and learn with the help of songs and dance. Their class is called Nali Kali. With such a varied class, one needs to have a solid strategy when it comes to teaching Akshara’s EASY English. Here’s how Smt. Umme Attika goes about it. She then focuses her attention on the children in grades 1 & 2. While she teaches grade 2 students using the Tab, grade 1 students observe and listen. She then gives the grade 2 children an assignment. While they are writing, she teaches grade 1 students. This integrated approach has proved helpful for effective class management. She uses the Tab to teach and then assigns a writing activity using the Government textbook. She has insisted on a copy-writing book for every student, and gives them 1 sentence as practice, every day. Students are required to write the sentence and practice it. HM, Shri. Zaheer Pasha regularly visits and observes the English class. He says that, “I have observed that the teacher handles the session beautifully. The way she engage students is excellent. Her approach of teaching is very good. 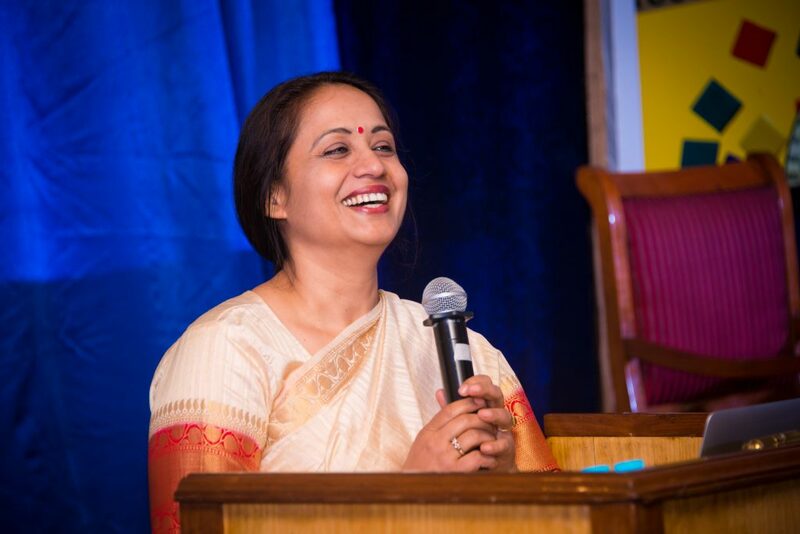 – Nalini Raj N. K.
Ever so often, Harshini has the Tab on her lap, teaching a small crowd of her peers its workings, its learning strategies. They are transfixed as much by the technology tool as by the English they are assimilating. 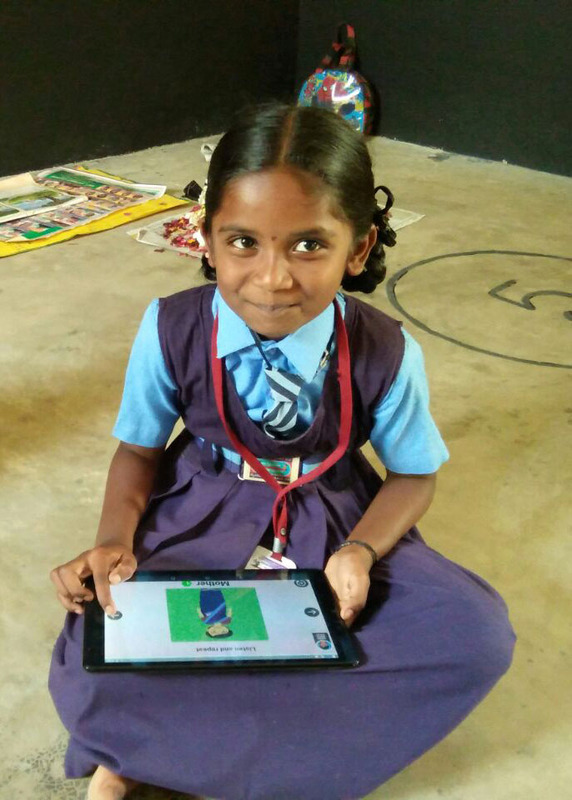 Harshini is one of Mangala Mary’s two brightest students in her Nali-Kali class of 10 at the Government Lower Primary School, Mylapura, Hoskote block. Her natural flair for English heightened by EASY English to inspire great journeys. There is little that this class 2 student cannot, for her age and grade, do. Vocabulary? She knows a good collection of words. Pronunciation? “Look,’ ‘six,’ seven,’ ‘come,’ ‘tree’……all in fast, accurate succession. She can pronounce them without lingering or spelling out the letters. Her teacher doesn’t have to prompt her. Comprehension? Harshini knows what those words mean. ‘Roof’ is the only true test in a variegated array of 10 words. Spellings? It is an area where she stands on practically unassailable ground. She plunges straight ahead into the days of the week, spelling even Wednesday and Thursday with no pause to regroup. And months of the year too, February and August included, needing a bit of prodding only at April, that too just to jog along the sequence. The bar is right up there for Harshini and expectations come crowding, from her teacher, her peers, from herself. This young girl is self-motivated, says Mangala Mary, serious, a slow smile of achievement on her face and an intelligent avidity. Mangala Mary sets a big challenge for her intermittently, and Harshini simply reaches higher. English was once outside the scope of classroom life in Chinnamma’s Nali-Kali* section at the Government Higher Primary School, Kolathur, Hoskote block. The English period went by, 3 to 4 p.m. every day, in dull tedium. 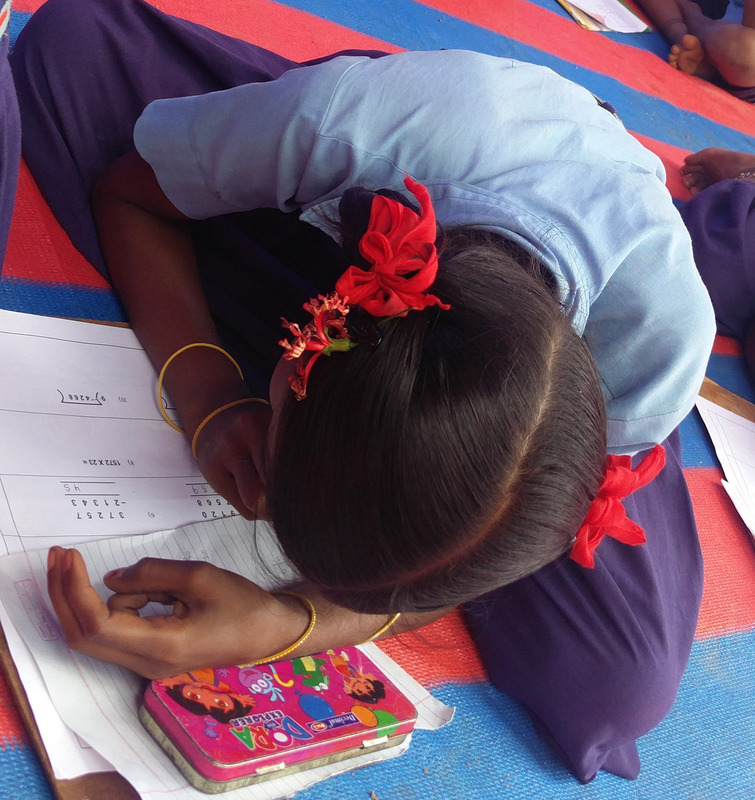 The less than 10 children in Nali-Kali – Chinnamma has the 4th grade there as well – did not know a single thing other than the alphabet, she confesses. The class 1 and 2 textbooks open on the floor, most of it going over their heads. It felt weighty and overwhelming. “Very heavy,” as Mangala Mary in another school remarked. Chinnamma was helpless, she says, tied down to matter she could not understand, much less teach. It was then that EASY English came into class. Chinnamma was open to its methods, its imaginative approach. “It’s a great help to us. In these times you have to know English.” But there was a catch, and that was technology, the new learning matrix in class. Three years away from retirement, she still says, “I don’t want to go into the Internet and all that,” and has used the same basic-edition mobile phone for the last 20 years. Overcoming resistance was a large part of her conversion story. Today: “I keep the Tab open and the textbook open and integrate. To tell you honestly, I use only the Tab. The same lessons are there in the Tab, and much easier too. I often don’t open the textbook at all.” But Chinnamma continues to be technology-averse. She shuns a smartphone, in fact does not know what it is. Were it not for the inducements of the Tab she would not have crossed her mental barrier. As for English, she says, “I’m only learning, still.” Chinnamma’s students too, along with her, are learning. “They’re improving slowly.” That is said with deliberate restraint, even a critical tone there. They are moving up, not as much perhaps as in the other schools, but they can answer most of the 23 questions and instructions Chinnamma has framed for them on a chart. Some examples: “What is your name?’ “What is your father’s name?” What is your mother’s name?” “What is the first sound of your name?” “Which animal gives milk?” “Can you jump?” “Touch the board.” “Show me your nose.” Though whole-sentence answers are not within reach yet, the programme has made English comprehensible. The children understand the questions posed. Action songs are their forte, a passion. The children know a repertoire of 10 rhymes, the tally way more than they ever knew before. It does not take much to trigger them, they are willing singers and movers. A regaling happens every time the Akshara team visits, and during the English period. The big, semi-dark room reverberates as the children stand in a circle, singing full-throatedly words they can sometimes only barely grasp or pronounce – this little cameo at the centre, and Chinnamma on the perimeter, like a conductor, raising and lowering her arms. 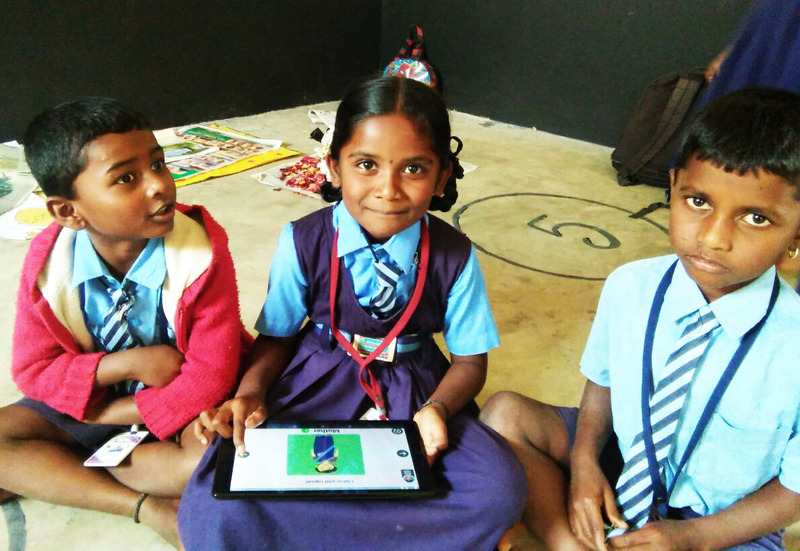 * Nali-Kali is a creative learning approach adopted by Government of Karnataka which combines classes 1, 2 and 3 in a single multigrade classroom. Mangala Mary’s English class at the Government Lower Primary School in Mylapura, Hoskote block, is amongst the finest in the programme. The EASY English impact here has been far-reaching. There are many children who are high achievers and a teacher whose motivational energy, once sparked, never fails. “My students are grasping well. 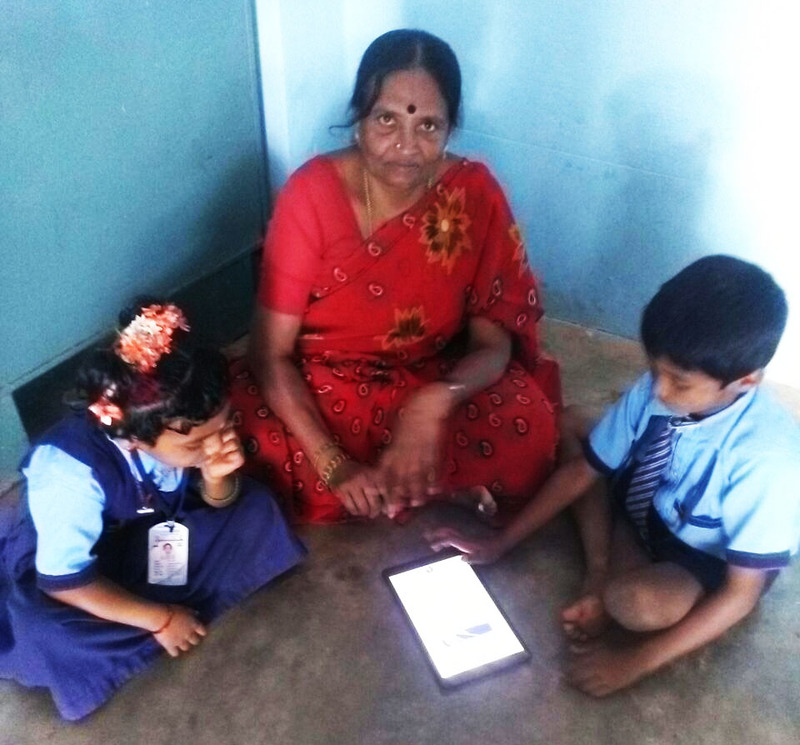 They’re learning well because of the programme,” says Mangala Mary. This is a sea change for a teacher, who, in 19 years of teaching, had not come anywhere near English. It passed her by, in the streets, in shops, in life’s exchanges. As a government-mandated subject in class, she also had English thrust upon her. She had to teach. Mangala Mary had not considered herself equal to the challenge. The idea did not capture her only because she was without a captivating, easy enough toolkit. She resisted English like she stonewalled the advent of EASY English a year and a half ago. The Akshara team hesitated to visit her – she was hardly accommodating, the friendly smile missing. English is heavy, she said. The programme is difficult, she concluded, before she had given it a chance. Then the training workshops started, and change began, gradually in the beginning, and soon with mounting momentum. First came the ability to comprehend, to appreciate the surge of English around her at the training venues, then came the tangible self-esteem recovery. Her attitude became aspirational. “English is an international language. All of us must know how to use it,” she says. Communication is still some rocky distance away. “But I’m able to teach better than before.” Confident assertions are now a part of her personality. “I understand the English on television news. I watch BBC sometimes. But I can’t speak all that well,” she says dejectedly. Her gaps in capacity are keeping her motivated. Not that enthusiasm was ever a shortfall. Mangala Mary has an abundance of it, and as if to prove it, she takes the class 2 English textbook and reads. It is a fluent accomplishment. “I understand it,” she says. 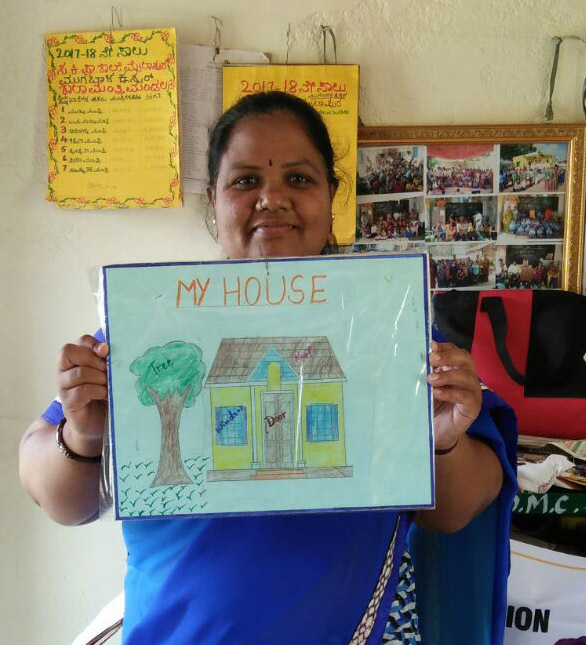 She picks up a chart from the wall on A House that she has made as an experiment in designing English teaching-learning materials (TLMs) that give complementary support to the lessons. Marked on it and highlighted in colour are parts of the house like roof, doors and windows. “I have made charts on the Alphabet and Healthy Food. The Alphabet, I did myself. For Healthy Food, I made a coloured photocopy from the Tab.” Another chart on the drawing board is: Is Cleanliness Next to Godliness. A pencil sketch of the idea is roughly in place. The team tells Mangala Mary to put the ‘Is’ after ‘Cleanliness’ and make a statement of it rather than have it hang as a question. She welcomes the feedback. English has an appeal for parents in this mostly low-income community of 592 people . That it is now taught with seriousness, with technology-supported learning resources, is a source of satisfaction to them. They keep the demand side active and Mangala Mary feels energised by the persuasive pressure. Already a committed teacher, it strengthens her resolve to deliver on their English goals. 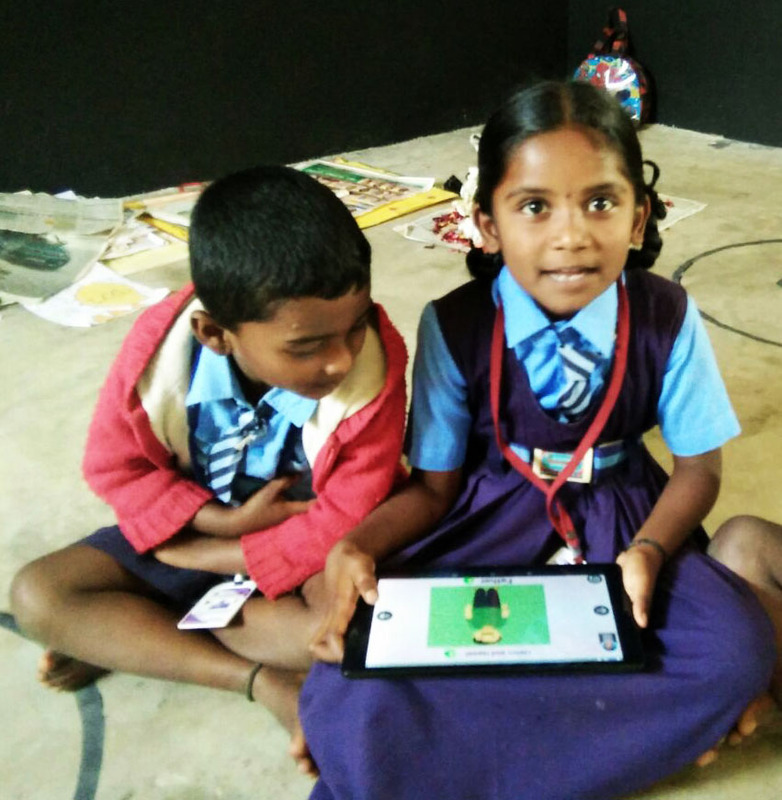 Akshara Foundation’s Easy English programme puts Jayalakshmi in total command. 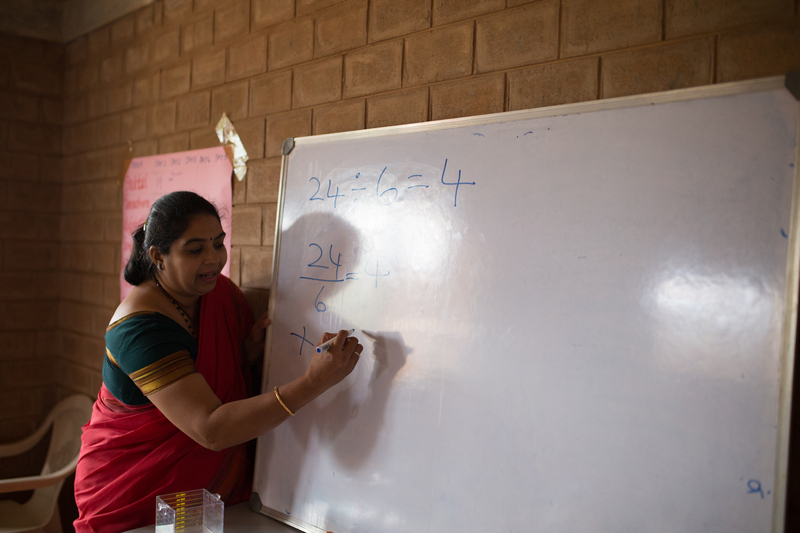 Jayalakshmi belongs to a small, elite league of government school teachers who know English, her passionate urge for it pushing her to greater ascendancies. Her spoken English is smart, stylish, free-flowing, of current coinage. “Come, you want to talk to me?” she asks mildly, but with total command as she pulls out chairs. “Now tell me,” she says, settling down. 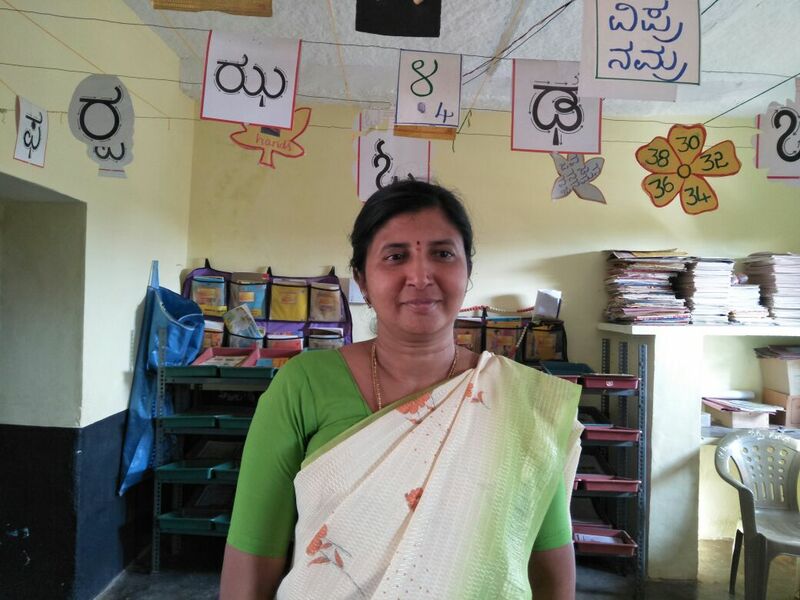 Jayalakshmi is the Headmistress and teacher of a Nali-Kali class of 11 at the Government Kannada Lower Primary School in Gonakanahalli, Hoskote block. The school has 18 children, classes 1-5. 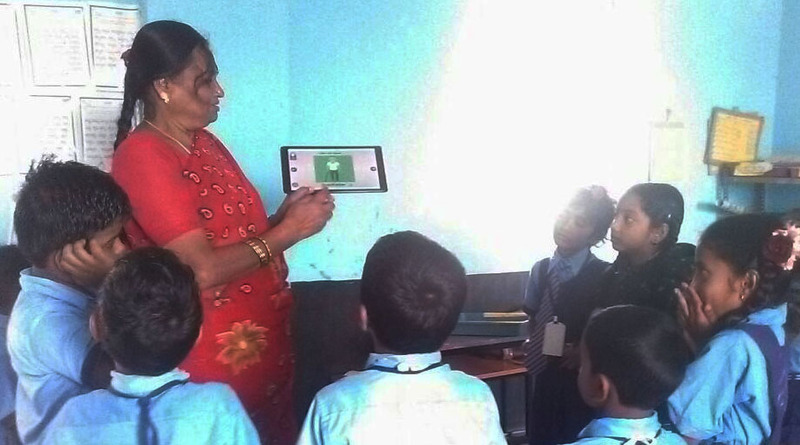 As one of its foremost teachers and strongest supporters, she holds high the torch of EASY English, Akshara Foundation’s Digitised English Programme. In a writing assignment for the programme’s training workshop (6-12-2016), she writes, “EASY English. 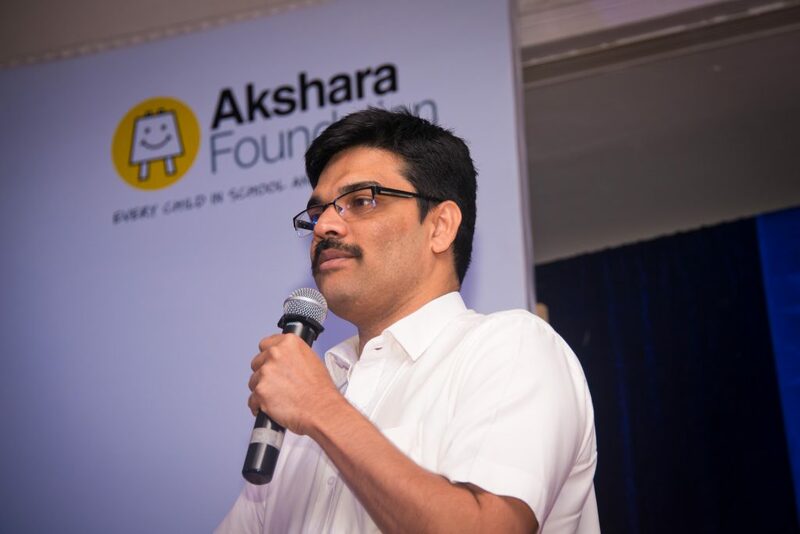 It is a very effective programme from Akshara Foundation. It is very helpful to all government teachers, especially those who are interested to learn and teach English. From the beginning, I attended all the 10 training workshops. I learnt small and big letters, English grammar………how to make sentences, how to teach English with the Tab for the children. The only spelling mistake in the two-page essay is when Jayalakshmi writes ‘greatful’ for ‘grateful.’ Only two or three places where a word connector is missing, like ‘those,’ ‘a,’ or ‘the,’ or a preposition misjudged, a couple of instances of wrong usage, and just once where a sentence is stranded. Her work shows organised thought, and comments and ideas are couched in separate paragraphs. Jayalakshmi’s search for English is assiduous. 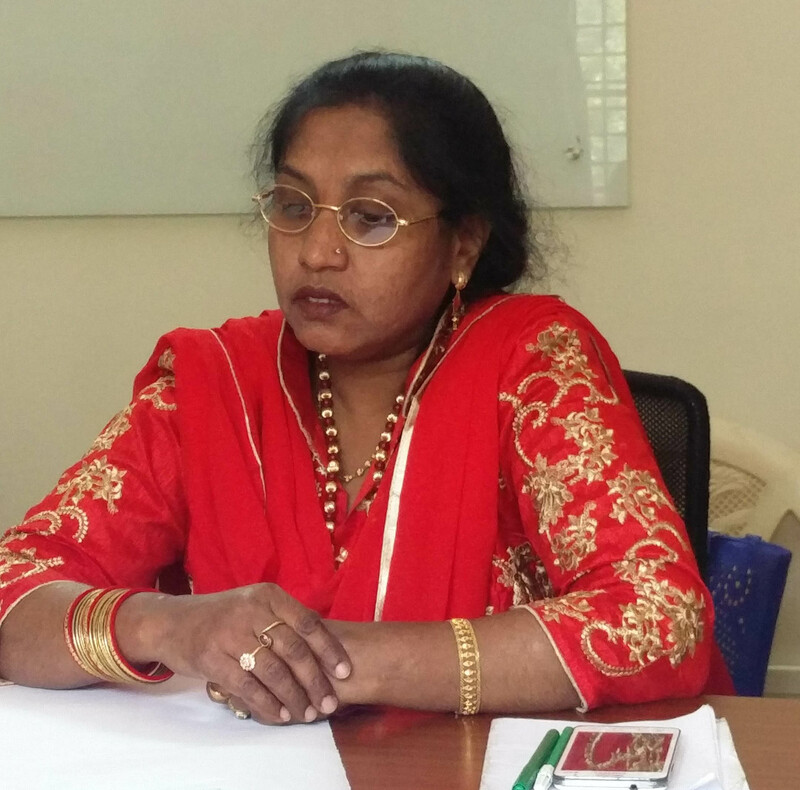 It began in 2010, a few years before EASY English, when her eldest son, now in engineering, teased her repeatedly, “You can’t even speak English.” Stung, Jayalakshmi enrolled in a two-month spoken English class. The learning there had its limitations, till she became one of the teacher beneficiaries in Akshara’s English programme. Now she is simply in a class of her own. “I read India Today, The Times of India, comics. I watch English news on my mobile,” she says, tapping her elegant smartphone. That, for a confident, self-assured lady, is the only piece of technology she deals with. “I’m on WhatsApp and Facebook. Mostly I read other people’s posts on FB. I don’t like posting much – it’s like saying everything to everyone. 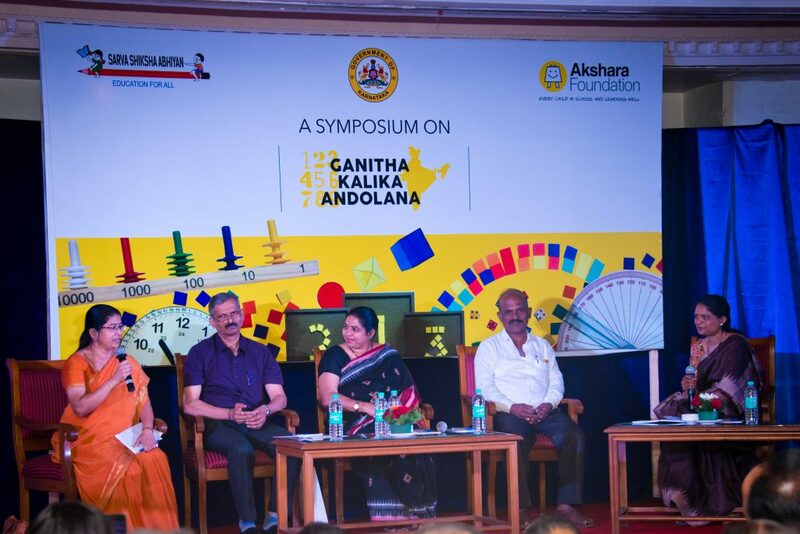 When I get a difficult word, I go to Google.” These are some of the engines that power Jayalakshmi’s English growth.